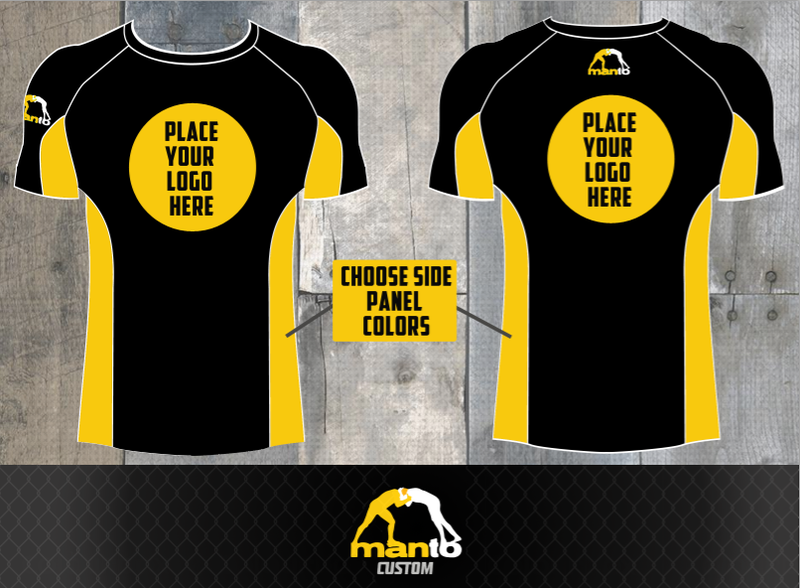 Increase your academy's brand and team loyalty with high quality fully sublimated MANTO rashguards. $24.99 a piece for 100pcs or more - discount will be applied to cart. Choose between long sleeve and shorts sleeve. High res logos sublimated on front chest and back. Choose a side color to match your logo or academy color. Sizes S-M-L-XL-XXL offered.